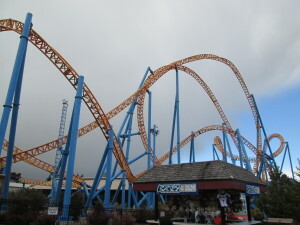 And we would have done Sidewinder if it wasn’t closed when we went (story later). In addition to those, we did the Kissing Tower (terrible name! ), Fender Bender (bumper cars – twice), the monorail and Reece’s Xtreme Cup Challenge (think Astroblasters at Disneyland, or sort of like Toy Story at both Disney coasts). 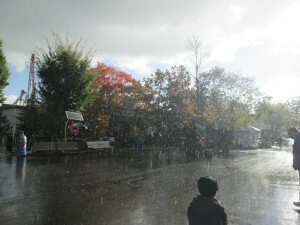 We still had time to wander aimlessly and eat lunch and snacks. 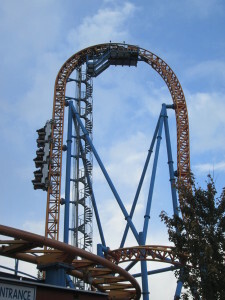 -Look at rides ahead of time to familiarize yourself with what you want to do when you’re there. The ride names don’t always tell you what they’re about, and you may miss some you might like when wandering through (like the Reese’s one) if you don’t know what they are. 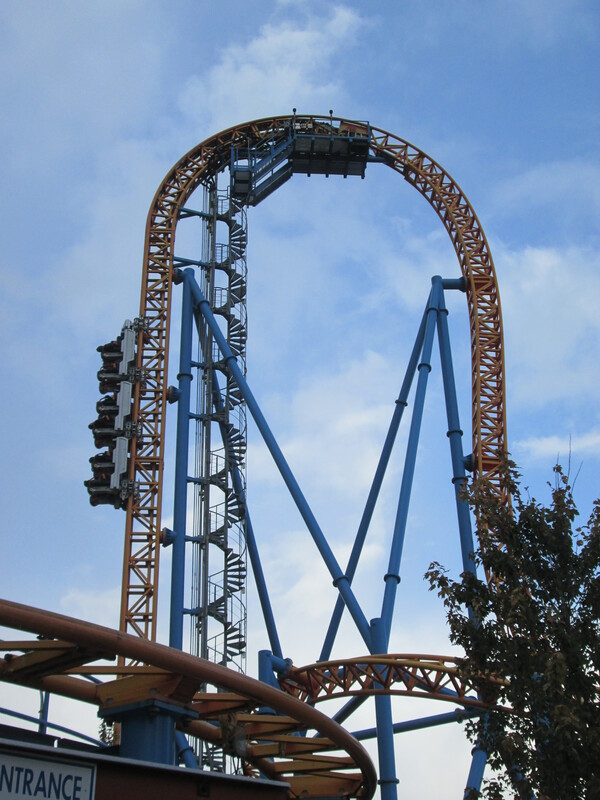 -Watch the coaster videos on the Hersheypark website ahead of time, so you can decide if you can stomach them. I’m a motion-sick kind of gal, so I got a sense of which ones I might tolerate by watching the videos. If I got a headache or felt ill watching them on my computer screen, I knew not to avoid them in person. -I can’t figure out why it’s called Hersheypark instead of Hershey Park. Can someone please tell me? -If you’re there during Halloween (i.e. Hersheypark in the Dark), don’t miss Treatville. 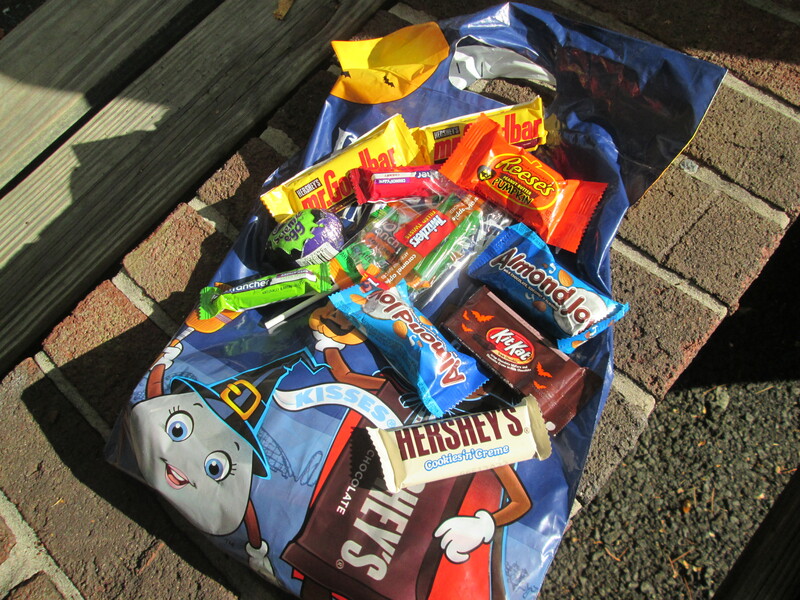 Kids through age 12 (and even my teen who looks older than her actual age) get handed cute Hershey plastic bags and they trick or treat in Treatville. And since it’s Hershey, you know the candy will be good! We scored, getting Cadbury Scream Eggs, a family fave. These puppies cost around $1 an egg the stores. 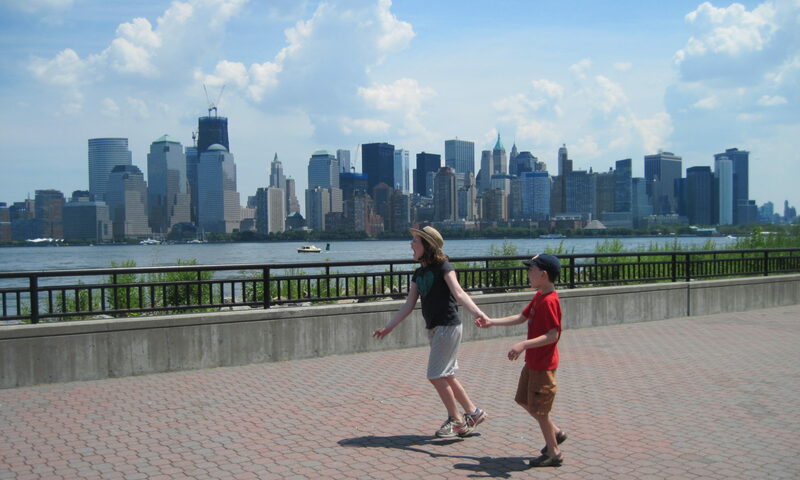 My kids initially didn’t want to go to Treatville, but we made them go. They were happy they did, and we didn’t eat too much of their candy when they were on the roller coasters without us. 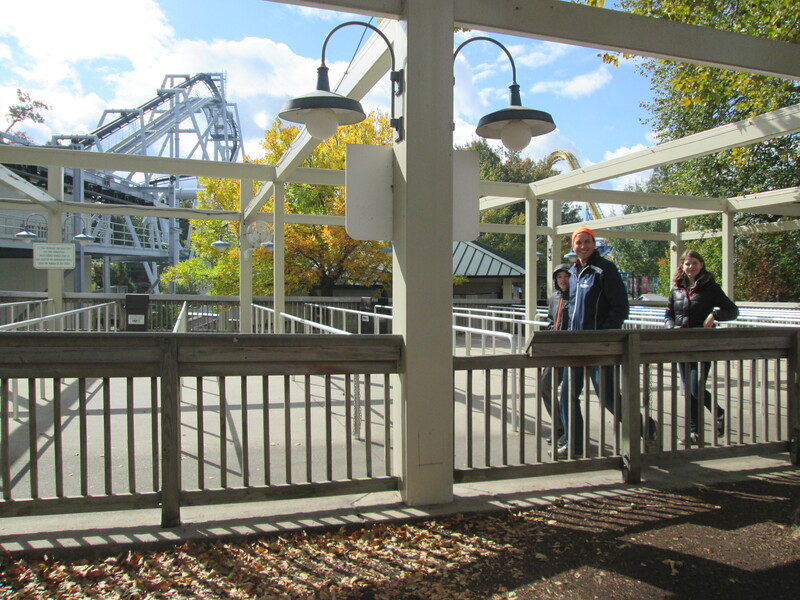 -Hersheypark in the Dark is the name for their October/Halloween open times (there’s two extended weekends left – 10/23-25 and 10/30-11/1). It’s open for three extended weekends, including daytime, so you’re not actually in the dark for most of it. They do, however, turn the lights off on a few of the coasters an hour before park closing, so you can indeed ride in the dark. Or you can simulate that experience at any other time by just closing your eyes. I tried that. Just to see how it was. 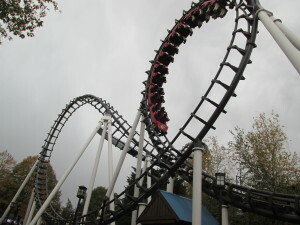 It’s quite effective on those horizontal corkscrews that made me ill.
-You can get a sneak peak of the park with your tickets for the next day. How? Show up at 7:30 the night before, tickets in hand. You get a few free hours at the park and can still use your tickets the next day. 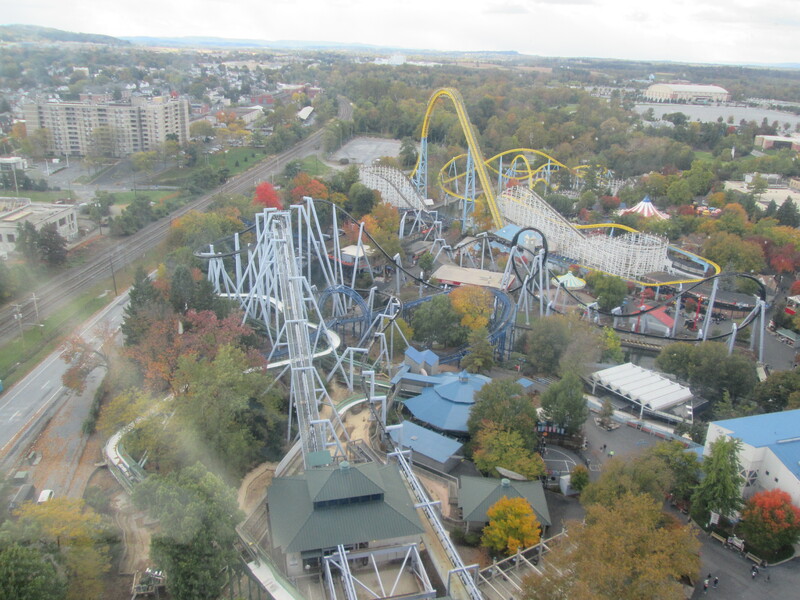 -Download the Hersheypark app on your phone. It’s free, and has helpful maps and info on the wait times, plus restaurants and stores. Given that we had minimal crowds, the wait time part was less useful than normal, but we did see that the new Laff Track ride had a 30 minute wait, while the other coasters had 5 minute waits. Guess where we went? Yup, the other coasters. -Hershey hot chocolate was a reasonable $2.12 at the Nut Hut (and probably elsewhere). -Don’t miss the s’mores booth in the Founder’s Way section, near the big carousel. 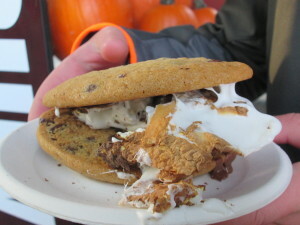 For $5, you get s’mores made of chocolate chip cookies or graham crackers, plus something like 6 roasted marshmallows (you can watch them being roasted over a fire), with a Hershey’s bar or Reese’s Peanut Butter Cups. One s’more fed our entire family, and we’re big on sweets. Yes, they’re large, rich and fattening. -I love that you didn’t have to check your bags in a paid locker before going on rides (I’m talking to you Great Adventure!). Hersheypark had cubbies just before getting on the ride, where you could put bags and drinks and smaller items. Of course they’re not responsible for theft, but if you have something of value, you should probably wear it in a fanny pack or small purse or zippered pocket. 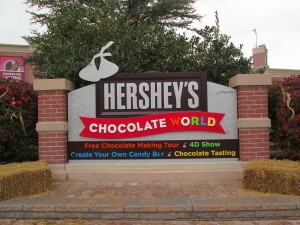 -Chocolate World is a few minute walk from the front gates of Hersheypark, so if it’s raining hard, you can take a break over there. -If there’s a raccoon in the rafters above the loading area of Sidewinder, the ride will close down until the raccoon is removed. 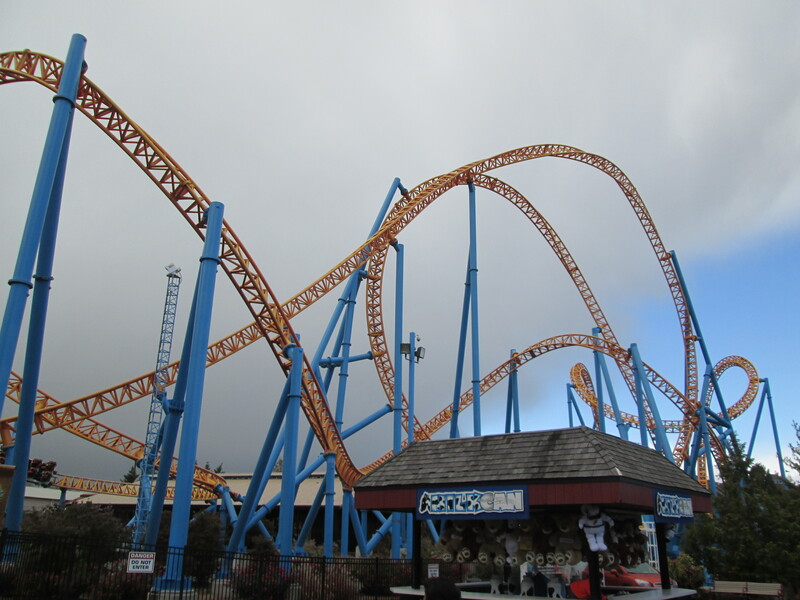 That’s why we didn’t get to ride Sidewinder (probably a blessing in disguise for me – I would have gotten sick). 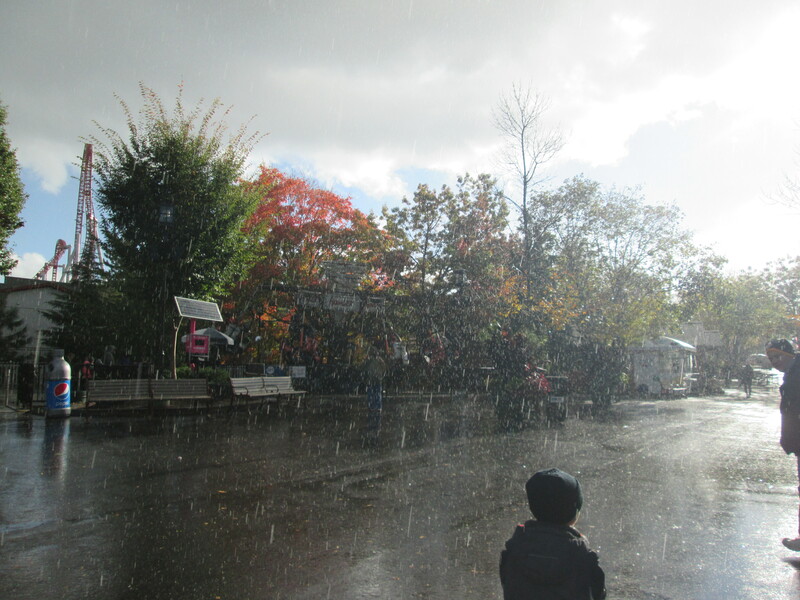 Not sure how or when the raccoon got up there, since we saw the ride operating earlier. My son was very disappointed and was willing to risk it. The staff wasn’t. -They look in your bags at the entrance but don’t care about bringing in bottled water or snacks. 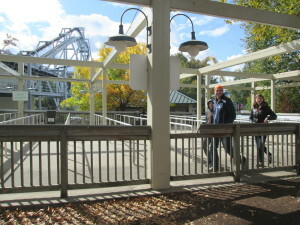 Disclosure: We had media tickets to Hersheypark. All opinions are my own.